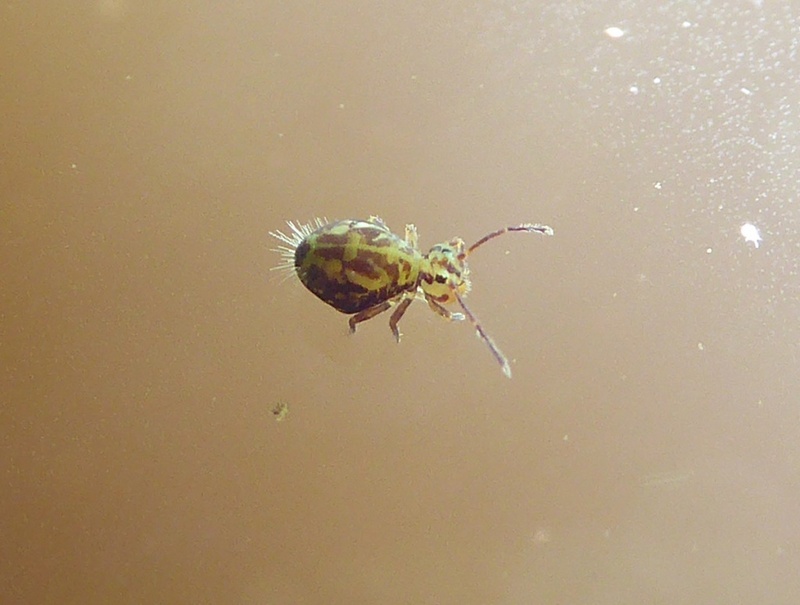 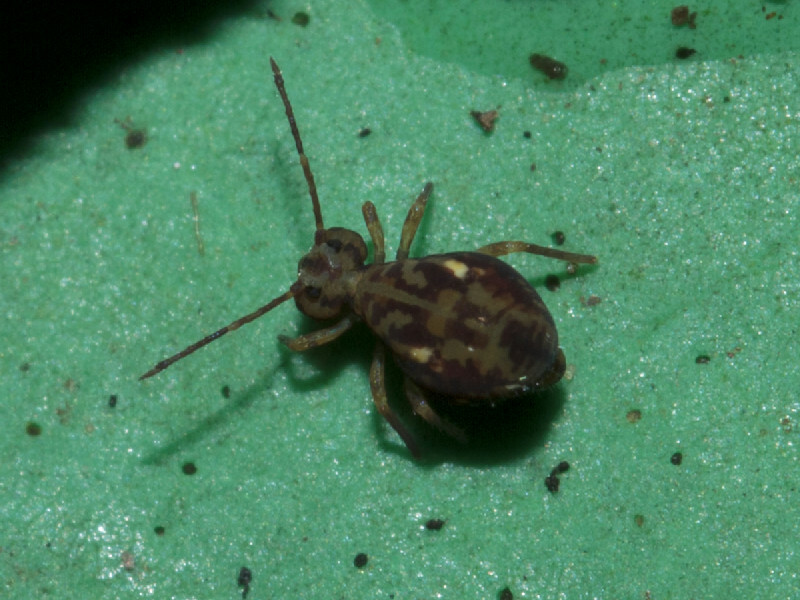 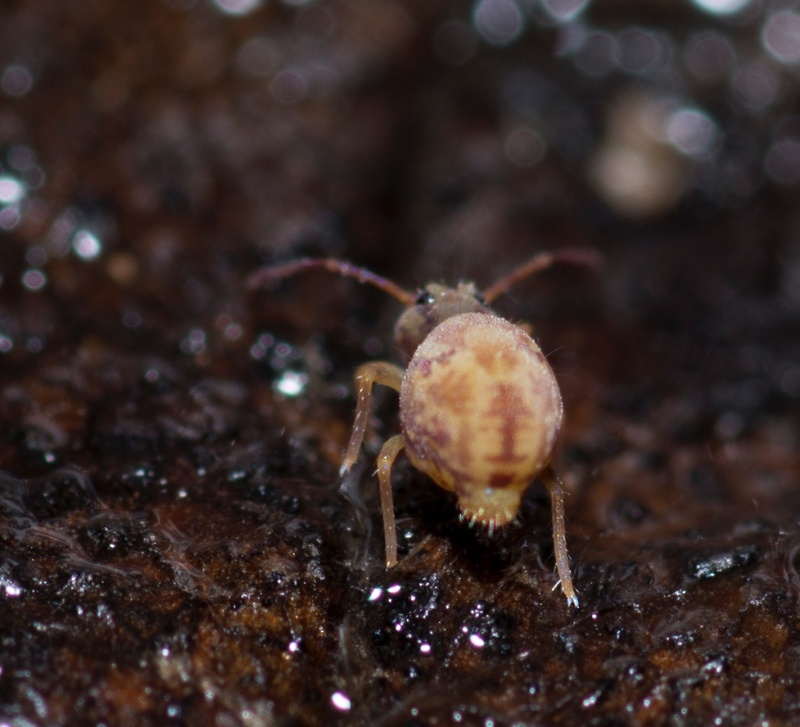 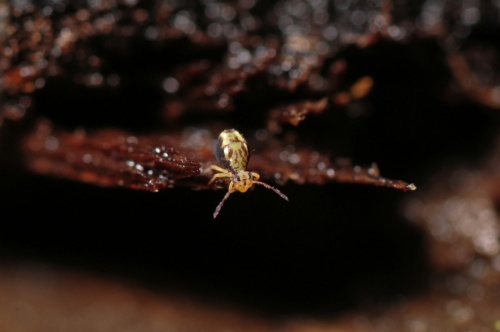 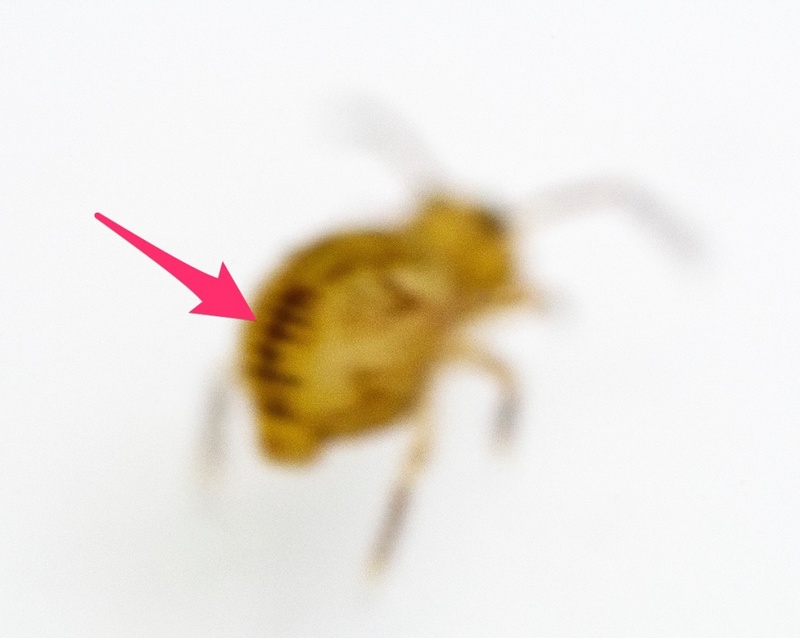 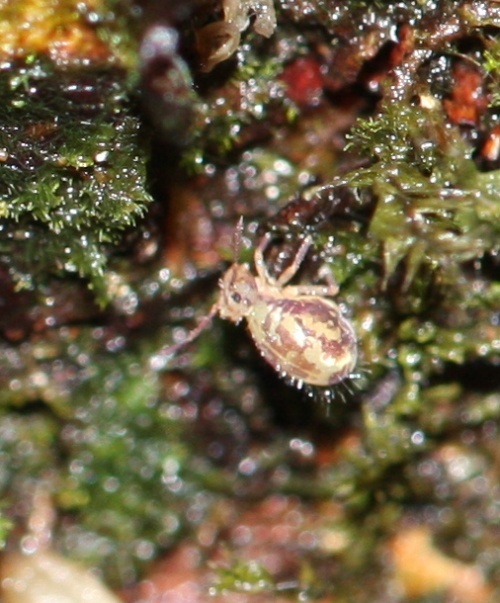 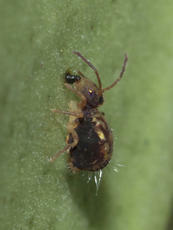 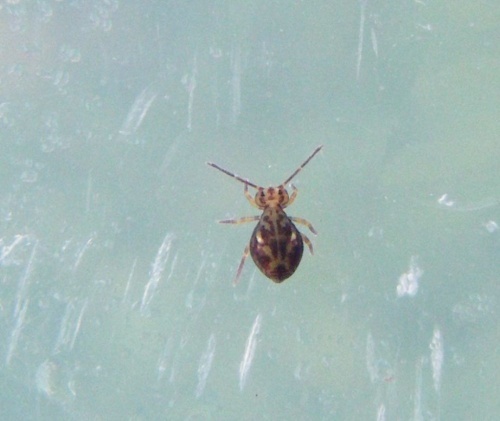 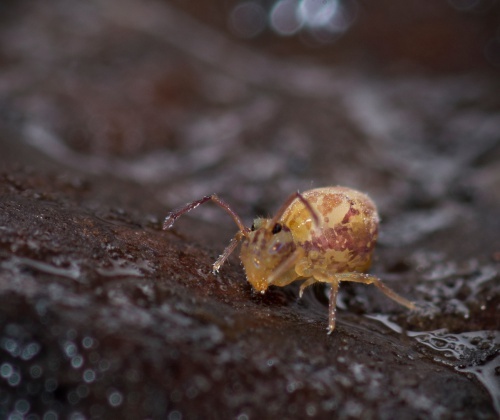 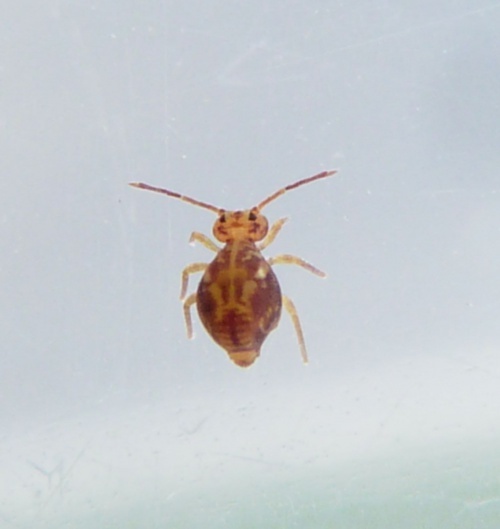 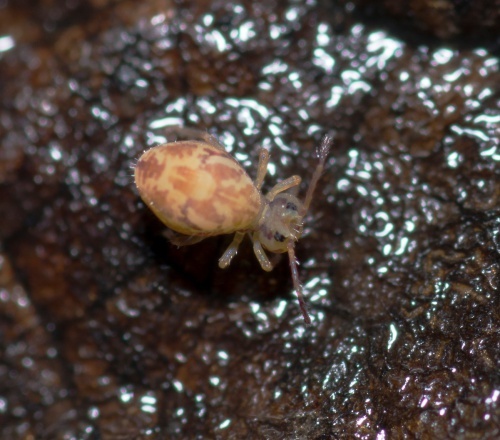 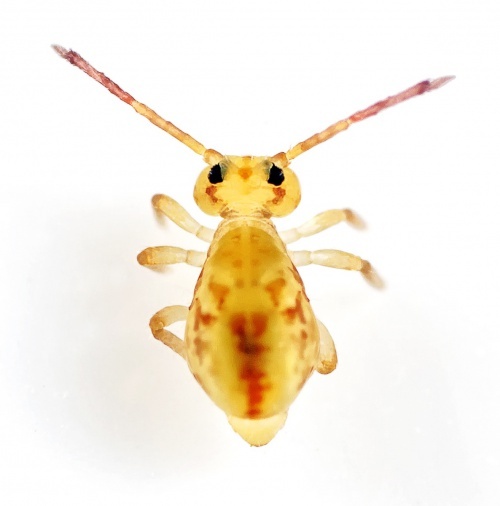 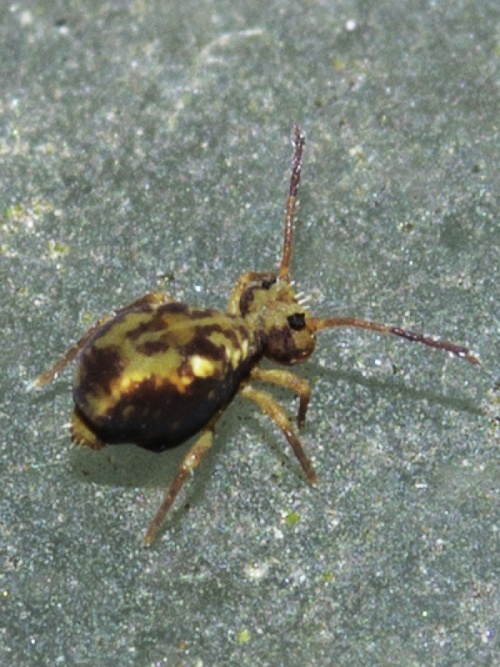 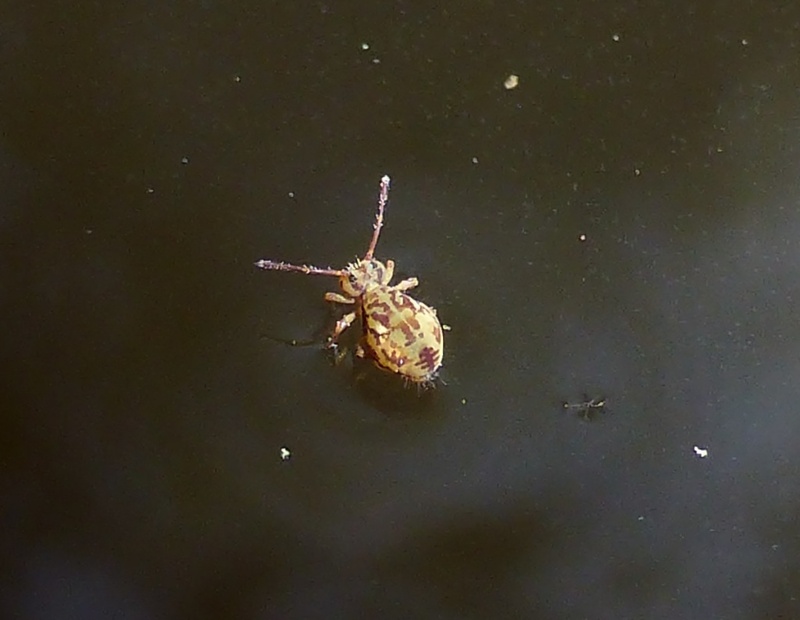 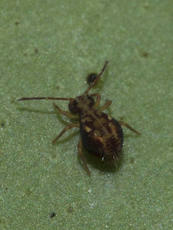 Dicyrtomina saundersi is a small globular springtail of only 2 or 3 mm. 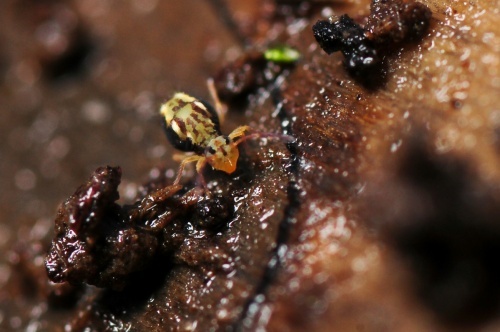 It has quite distinctive markings of pale greeny yellow and maroon. 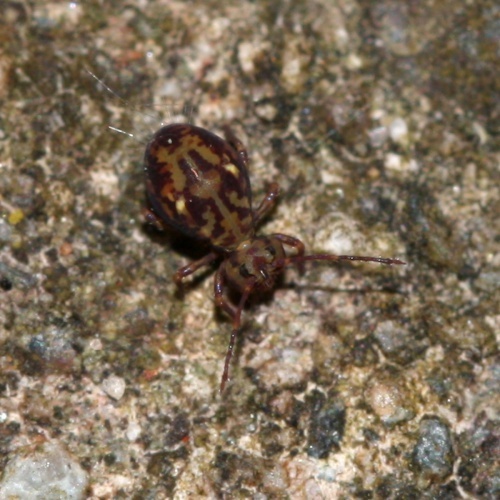 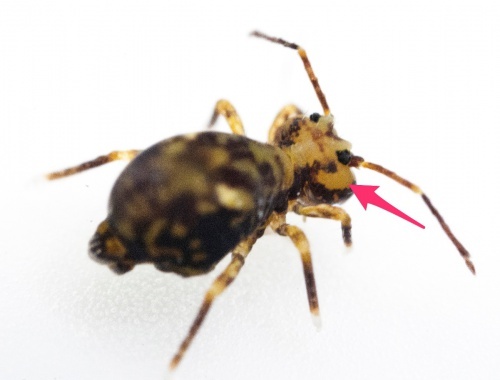 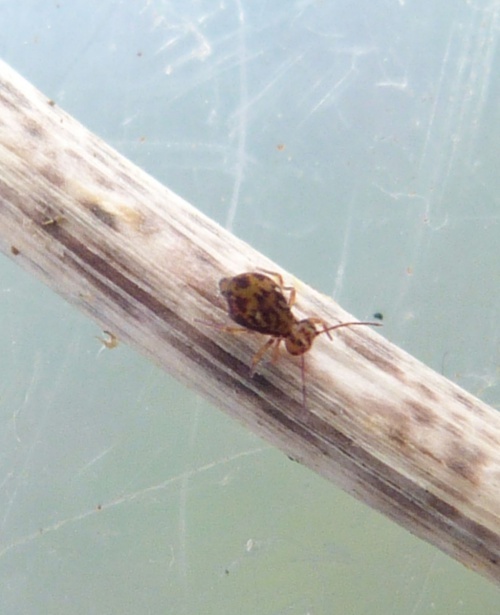 This species is very similar to Dicyrtomina ornata, however D. ornata has a solid patch of dark pigment at the posterior end of the abdomen whereas in Dicyrtomina saundersi, this patch has a distinctive "multi-barred cross" pattern. 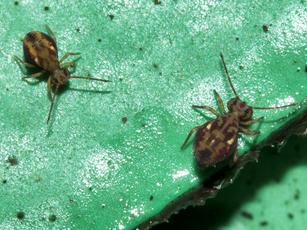 There is also a distinct colour change at the joint of sections 2 and 3 of the antennae. 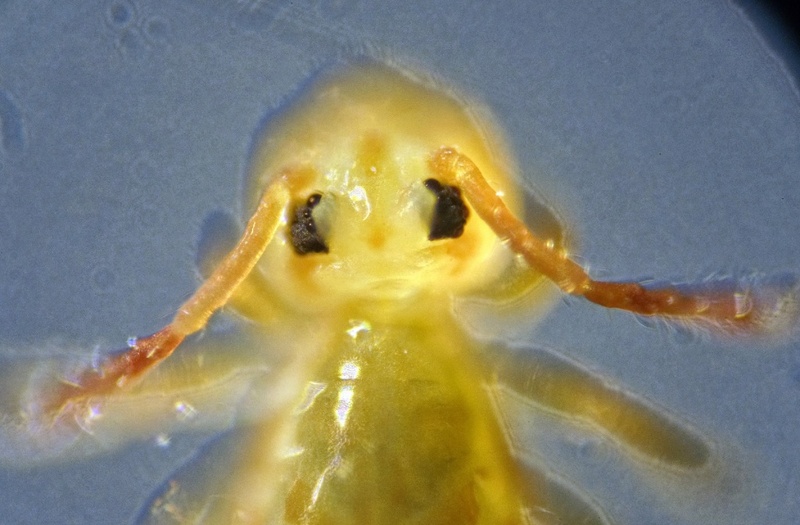 Submissions need to show details of the antennae and/or the dorsal colour of the 6th abdominal segment. Under stones and logs etc. 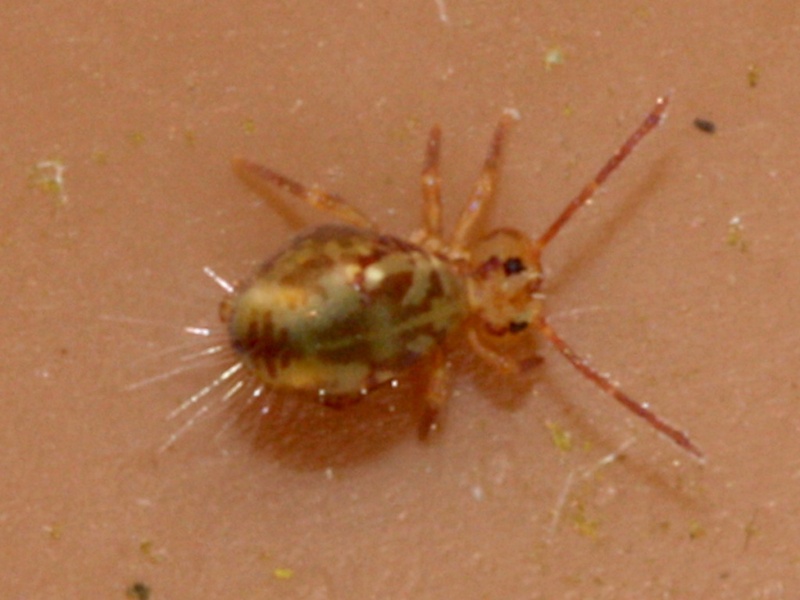 Quite common and widespread in Britain, although poorly recorded.